Wells Fargo & Co. has announced the state of Nevada has extended its general banking agreement with the financial institution until 2021. Wells Fargo &Co. has announced the state of Nevada has extended its general banking agreement with the financial institution until 2021. The deal, which was approved by the Nevada Board of Examiners, allows for a two-year renewal option. San Francisco-based Wells Fargo has provided the state’s general banking services — depository, payments and disbursements — since April 2013. 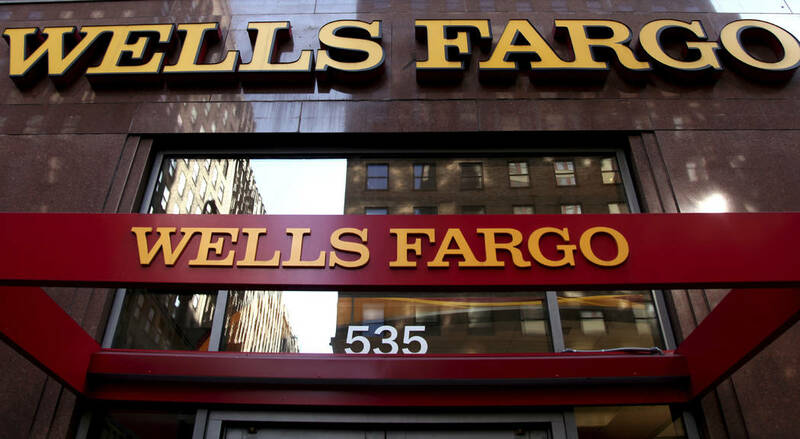 Wells Fargo provides general banking services for a number of states, Pelos said. It helps states process payments for paying employees and other expenses and for dispersing taxes, for example, he said. It also backs up bond offerings when the state issues bonds for pay for highways or other specific infrastructure projects. That helps the state and its entities borrow at lower interest rates because of the bank’s backing behind the bond and thus lower risk, Pelos said. The state treasurer’s office not only raises funds for Nevada but ensures the state remains solvent and payments are made according to the law, Pelos said. States negotiate with financial institutions on a regular basis about the fees they’re going to provide for the services at the best price, Pelos said. They tend to stick to one institution for that service to improve efficiencies and get a better rate, he said. “We gave them a deal. They thought it was nice and took it,” Pelos said. In addition to general banking services, a state has agreements with various financial institutions to provide other services as well, Pelos said. Wells officials said they have helped the state during their tenure to provide general banking services. Teams from Wells Fargo Government Banking and Treasury Management have collaborated with the state over the past five years to reduce costs in services such as lock boxes and electronic receivables. Together, they have accelerated collections through remote deposit for the majority of Nevada state agencies and departments, according to Gabriel Boehmer, senior vice president/communications manager. Additional efficiencies have flowed from the state’s use of Wells Fargo’s online corporate and institutional banking platform, Commercial Electronic Office, for returned item reports. Most recently, Wells Fargo has sped up deposits of the state’s credit card transactions by at least one day, Boehmer said. Since last fall, states such as Nevada have come under fire for their relationships with Wells Fargo after it was mired in scandal when some of its employees opened accounts without their customers’ knowledge. It’s paying a $185 million fine to the U.S. government, and several states, including California, suspended or severed ties with the bank. In Nevada, where Wells Fargo first opened offices in 1860, the bank employs 3,400 people in business lines such as government banking, business banking, community banking and home mortgages. Wells Fargo and the state have had a relationship since 1864, when Wells was doing business in Virginia City, Boehmer said. Wells didn’t immediately provide the revenue it earns for providing the banking services for Nevada. “I’m unable to give you the actual revenue figure. However, I can tell you that the state of Nevada is considered as a major relationship with all of Wells Fargo. It’s one of our biggest relationships in the entire state,” Boehmer said.